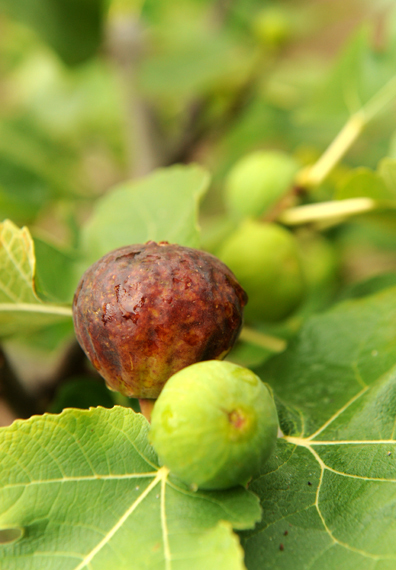 A black fig ripens on the tree at Dancing Bear Farm in Leyden, Massachusetts. Courtesy of the Recorder/Paul Franz. The harvest season is over in Western Massachusetts—although local produce still abounds: apples, cabbages, squash. At this time of year farmers have the mental and physical energy to plan for next year. Best of all, they find time to dream. At Dancing Bear Farm in Leyden Tom Ashley and his wife, my fellow journalist Trish Crapo, are dreaming of something they will call the figtorium. The figtorium will be a greenhouse designed to accommodate Tom’s growing fig harvest. 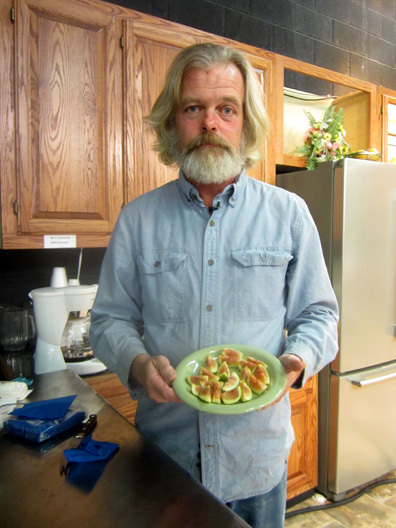 Dancing Bear Farm has been in business for 25 years, but Tom grew his first figs only eight years ago. 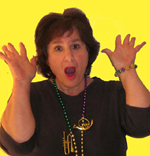 A teacher who lives in Brooklyn, Marie has a second home in Leyden. She has been a loyal customer of Dancing Bear since the farm started in 1981. 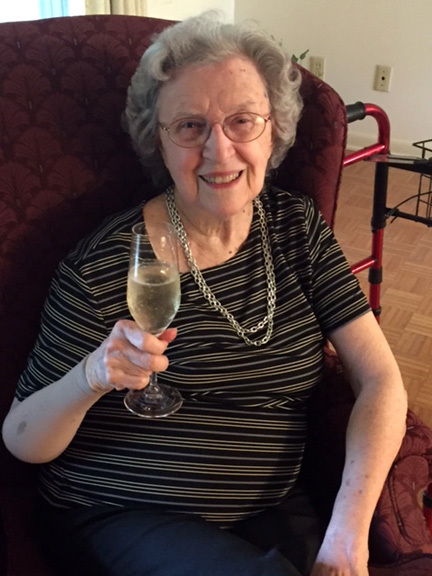 “She is Italian American and lives in an Italian neighborhood,” Tom told me. “Everybody there has their fig trees and their grapes and a small garden [of plants] that they brought from the old country. He received a phone call from Marie, urging him to plant the sticks. “I said, ‘Yeah, sure. Figs. All right, Marie,’” Tom remembered. Tom Ashley with some of his figs. The sticks went into the ground. Two of the four took root, combined themselves into one large tree, and began producing fruit the following spring. The tree is still going strong today. “Sweet but light,” chimed in Trish Crapo. Soon Tom began doing research about fig trees. Native to many areas of the world and cherished particularly in the Middle East and the Mediterranean region, figs are an ancient plant. They are also a healthy fruit—full of antioxidants. They contain ingredients that can help fight cancer, obesity, osteoporosis, and many other diseases. “A fig may have been the fruit in the Garden of Eden, not an apple,” Trish Crapo informed me. In the warmer climates of figs’ native habitat they grow profusely outdoors. I had never seen figs growing so I enjoyed visiting Dancing Bear Farm in late October to see what all the fuss was about. Tom Ashley’s fig trees were then lush and tall. The winding wood was pleasing to the eye, and the large leaves were highly decorative. “No wonder they used to wear them back in the old days,” Tom told me with a smile. He picked a fig off a tree for me to taste on the spot. Figs are unusual in that they don’t flower. Their flowers are actually the inside of the fig. My fig tasted sweet and rich. The skin, fruit, and seeds provided a nice combination of textures. Tom and Trish first met at Hampshire College, where Tom managed the coop and was among the first people to think of starting an organic garden on a college campus. “We already valued sustainability and local agriculture in 1980,” Trish said proudly. Trish arranges figs on a plate. After college the two looked for a plot of land of their own. They fell in love with the land that would become Dancing Bear Farm, which has a spectacular view of the Pioneer Valley. Soon they set down literal and figurative roots. Looking forward, Tom sees his fig cultivation and the planned figtorium as key. He admitted that he could repair his current plastic greenhouse instead of constructing a new one. He sees defects in this plan, however. With the figtorium—a larger, non-plastic greenhouse—he will be able to accommodate his fig trees and expand his fig crop. He hopes that figs will become one of three or four strong crops on which he can concentrate in future. This concentration will strengthen his crops and give him more time to do the educational outreach he has already begun through newsletters to customers. At the moment he sells both figs and fig trees. Eventually, he would like to work with etymologists to do research on the fig wasp—a miniscule insect that helps figs spread in the wild. He would also like to experiment with farming methods that might help fig trees survive in colder weather. Tom hopes that the figtorium will make his life richer, more interesting, and less physically stressful. Meanwhile, Tom takes pride in his figs and fig trees. Several years ago, he told me, his friend Marie brought him a new fig-tree cutting from friends who were visiting from Sicily. 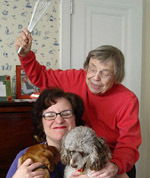 When the friends returned to the United States a couple of years later she brought them to Dancing Bear Farm. The friends don’t speak English so not a lot was said. Nevertheless, Tom informed me, they managed to give him two thumbs up when they saw the tree their cutting had produced. “We communicated back and forth our mutual respect. Marie told me later that my tree was doing better [than the one her friends had] back in Sicily,” he recalled. 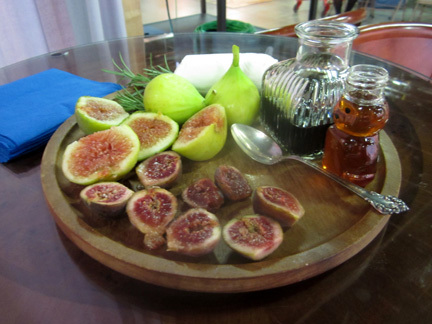 Tom Ashley and Trish Crapo frequently experiment with fig cookery. “In a way we’re in a unique position that most people are not in,” Trish told me. “We have too many figs. It’s a wonderful challenge.” They report that even the leaves can be used in cooking, to wrap around foods. The pair gave me some figs to play with—and I remembered that years ago my graduate-school roommate Alice Gagnard and I used to receive care packages of fig jam from her mother in Alexandria, Louisiana. 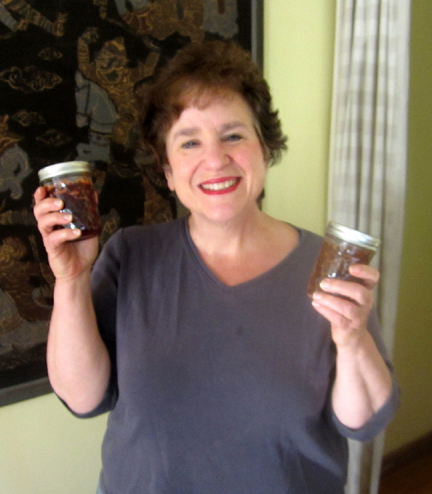 I don’t have Louise Gagnard’s recipe—she unfortunately died while I was doing research for this article—but when Tom Ashley gave me some frozen figs I concocted my own version of the jam as a memorial tribute to Louise. She always had a pot of coffee on the stove and a smile on her face. In a 4-quart Dutch oven combine the figs, the sugar, the lemon juice, and the zest if you are using it. Mash the figs a bit with a potato masher. (They don’t have to be completely mashed.) Allow the mixture to sit for at least 1/2 hour to enable the figs to juice up a bit. Stir again, turn on the stove, and bring the mixture to a boil, adding just a little butter to minimize foam. Reduce the heat and simmer the jam, stirring from time to time, until the jam becomes thick and starts to gel. Test for gelling by using a candy thermometer (the mixture should come to 220 degrees Fahrenheit or a little under) or by inserting a cool metal spoon in the jam. When the jam comes off the spoon in sheets it is done. I’m enjoying my fig jam! My friend Cathy in England wrote a while back to ask whether I had a recipe for bread-and-butter pickles. She says she can’t get them in the U.K. but loves them when she’s in the States. I do, too. These sweet-and-sour cucumber pickles were a staple in our household when I was growing up, as ubiquitous as the bread and butter after which they are named. My grandmother learned to make them from her foster mother, and my mother learned to make them from my grandmother. SOME DAY I hope to make a version of these with maple syrup. 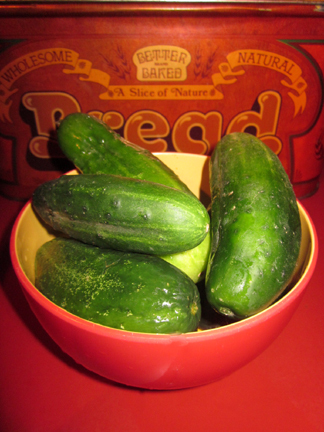 This year, however, I didn’t think about pickling until last week, when cucumbers were suddenly disappearing from gardens and farm stands in our area! To get something pickled this year, I’m sticking with my mother’s recipe, which probably came from Fannie Farmer long ago. She’s a Fannie Farmer cook. It’s simple, and the brown sugar gives it a mellow flavor. 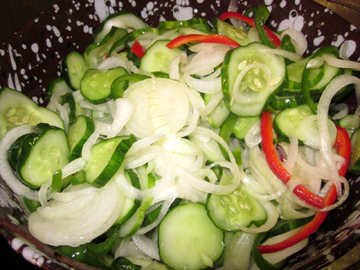 In a nonreactive bowl combine the cucumbers, onion slices, pepper strips, and salt. Cover the bowl and let the mixture stand for 3 hours to drain some of the liquid out of the cucumbers. In a large nonreactive pot combine the brown sugar, spices, and vinegar. Bring them slowly to the boil. Boil for 5 minutes. Drain and rinse the vegetables thoroughly. Add them to the liquid on the stove and heat just until the liquid is about to simmer once more. 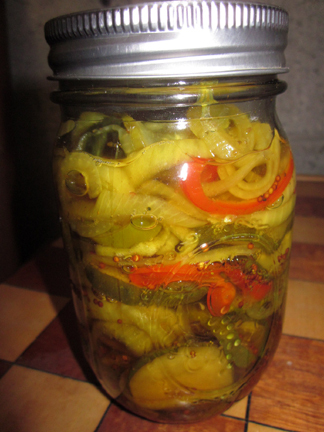 Spoon the vegetables into 4 hot, sterilized pint jars, and cover them with the cooking liquid. Fill the jars but leave 1/2-inch headspace. Now, here’s the hard part: wait at least 6 weeks before you open the first jar. We’re counting the days in our house. Generally, I know what I’m going to get when I test a recipe. Every once in a while, however, I’m completely surprised. Surprise was definitely the word of the day when I tried this recipe. 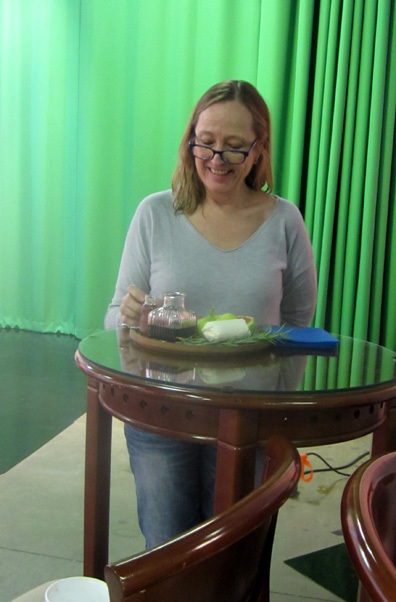 Devany Vickery-Davidson is a writer and ceramic artist who lives in Hawaii. 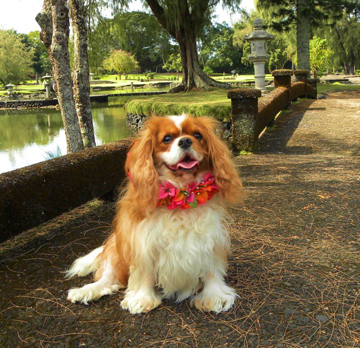 Her blog, My Hawaiian Home, features delectable recipes and stories of her adventures in her tropical milieu. Devany recently sent me her homemade ketchup recipe. I was determined to try it out. I had a lot of tomatoes in the house (not enough, it turned out—Devany DID warn me that one needed a huge garden to make her recipe!). And my nephew Michael is a ketchup fanatic. 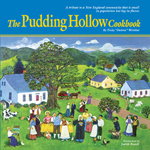 I adapted Devany’s Hawaiian-oriented recipe to reflect local ingredients around my home in Hawley, Massachusetts. Devany often uses palm vinegar; I used cider vinegar from Apex Orchards. She uses raw cane and brown sugar; I used maple syrup. She uses a Maui onion; I used a local Vidalia type. I cooked and cooked and cooked the ketchup. When it was still wet but getting thicker I tasted it. It didn’t taste ANYTHING like ketchup. My local cider vinegar was way too robust. At the suggestion of my friend Chef Michael Collins I added more maple syrup and kept cooking. When I tasted the revised ketchup, it still wasn’t very ketchup like. I was just about to give up when I tasted it again and experienced a moment of epiphany. My concoction still didn’t taste anything like ketchup. BUT … it DID taste like really good barbecue sauce. So that’s what I’m calling it. You’ll only want to make this recipe if you have lots and lots of tomatoes in your garden or farm share; it’s quite expensive per ounce if you go out and buy the darn things. It’s worth trying if you have a surfeit of tomatoes, however. 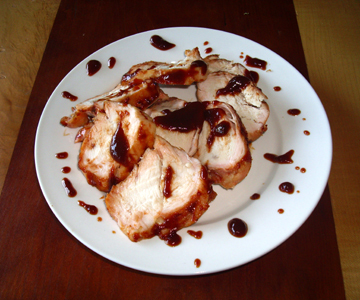 It’s dark, sweet, and tangy—perfect barbecue sauce, in other words. Thank you, Devany, for leading me on this adventure! Whatever this stuff is called, it’s delicious. Place the vinegar in a saucepan. Tie the mustard seeds, allspice, celery seeds, cloves, and peppercorns in a piece of cheesecloth. Place the cheesecloth bag in the vinegar along with the bay leaf, cinnamon stick, and nutmeg. Bring the mixture slowly to a boil; then turn off the heat and let the vinegar sit with the spices for 1 hour. Discard the spices (except for the nutmeg, which will be in the vinegar!) and set the vinegar aside. In a large nonreactive kettle combine the tomatoes, garlic, onion, and peppers. Heat the ingredients over medium heat, stirring frequently to avoid scorching on the bottom of the pan. Bring the mixture to a boil and reduce the heat; allow the mixture to simmer for 25 minutes, stirring occasionally. Stir in the spiced vinegar and continue to simmer for another 1/2 hour, still stirring from time to time. 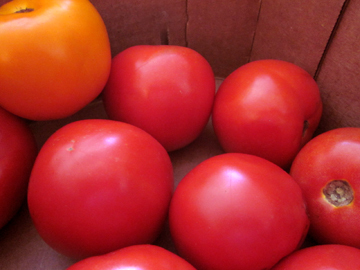 Remove the pot from the heat and put the tomatoes and other vegetables through a food mill. Try to extract as much pulp and juice as you can. Discard the leftover solids, seeds, and skins. I ended up with a little less than 1 quart of sauce, but one would probably achieve a larger yield (and a shorter cooking time) with the tomatoes Devany recommends. This photo and others come courtesy of Sue Haas. Canning season is in full force—and as usual I am thinking about putting food up more than I’m doing it. Thanks to Sue Haas of Seattle, however, I have made my first ever batch of pickled peaches. This lovely old fashioned recipe comes from Sue’s grandmother, Emma DuPuy Reed. Miss Emma was born in 1871 and died in 1962 and was, according to Sue, “quite a lady.” Sue is working on a young-adult novel about her grandmother’s life. In the meantime, here are a few recollections she shared with me. Emma Louisa DuPuy was born and grew up in a French Huguenot family in Philadelphia. Her father, Charles Meredith DuPuy, an engineer and inventor, was one of the founding members of the Huguenot Society of America. He also wrote a book about the DuPuy Family. She and her sisters were neighbors of and friends with Cecilia Beaux, the American Impressionist portrait painter, in West Philly. There are several portraits of DuPuy family members painted by C. Beaux. One is now at the Williams College Museum of Art…. Emma was a tall, dignified, beautiful lady with big blue eyes, a generous smile, and a wonderful sense of humor. 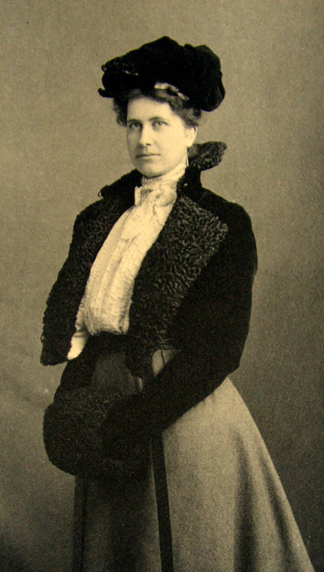 She married William Ebenezer Reed, an engineer (from Manchester, VT), in 1902. Emma lived in a rent-controlled high-ceilinged, elegant apartment in Manhattan for over 50 years. Emma and “Eben” raised their five children there and Grandma gave birth to all of them at home. They had a maid and a cook and kept the traditions of Victorian table settings. I still remember dipping my fingers in thin, glass finger bowls placed on lace doilies–possibly necessary after eating sticky pickled peaches! Emma loved peaches. Peach ice cream was her favorite. She made her pickled peaches in Blue Point, L. I., where she also made raspberry jelly. I remember catching soft-shelled crabs in Blue Point, too, and occasionally seeing them escape from their bucket and scramble around on the kitchen floor before being plopped into boiling water. This summer my own daughter, Alysa, wanted me to teach her how to can. So we canned raspberry jam. She was busy on the day I canned the pickled peaches but I’m passing the recipe on to her. I remember, as a child, eating juicy, cinnamon-y pickled peaches with roast turkey on Thanksgiving at Grandma’s Manhattan apartment many years ago. And I can’t wait to serve them to my own grandchildren at our Thanksgiving table this year in Seattle. Sue’s recollections of her grandmother struck me as perfect for a project called In Our Grandmothers’ Kitchens. So did this recipe. I did get pretty sticky handling the peaches, but what sweet stickiness! I can hardly wait to eat them with a festive meal. Sue suggests serving them with roast pork or ham as well as turkey. 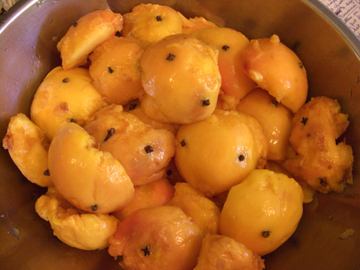 You may either take the cloves out of the peaches yourself before serving or let your guests remove their own. Now, if I only had a rent-controlled apartment in New York City……….. Fill large canning pot with enough water to cover the two quart-size canning jars. Bring water to boil and keep hot. Boil about 2 quarts of water in a big cooking pot. Remove from heat. 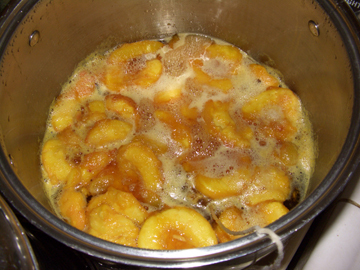 Place peaches in hot water for about 1 minute, or long enough so that skins may be peeled off easily. Remove peaches from water and cool in colander. Peel peaches and discard peels. You may cut peaches into halves or leave them whole. I cut them in half, but it’s tricky to keep them intact. Whole peaches are easier. Insert 3 cloves into each peeled peach half. Set aside. Make a spice packet with 4 sticks of cinnamon wrapped in a piece of cheesecloth. Tie a string to close the bag. Leave one end of string long enough to reach over the side of the pot to pull out when syrup has thickened. You may tie the long end of the string to a teaspoon to weigh it down so it won’t slip back into the pot. 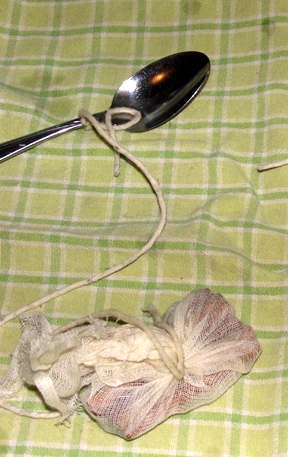 Note from Tinky: I just made a little knot in the cheesecloth and removed the cinnamon with a slotted spoon later. I couldn’t find my string! Mix sugar and vinegar in a large cooking pot. Add the cinnamon packet to the pot. Heat on stove to boiling. Turn down and let simmer about 30 minutes until syrup turns golden and thickens. 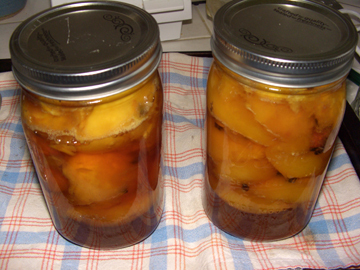 Place peaches in the jars and pour syrup to about half an inch from the top of each jar. Seal with new canning lids and screw on screwbands. Place sealed jars on rack in hot water bath in large canning pot, making sure tops of jars are covered with water. Boil gently for about 10 minutes. Bubbles of air will come out of the jars. Remove jars from water bath and let sit on a tray without moving them for about 24 hours. You’ll know jars are sealed if you hear the lids pop, and they are flat (not convex) when you press the tops with your finger. 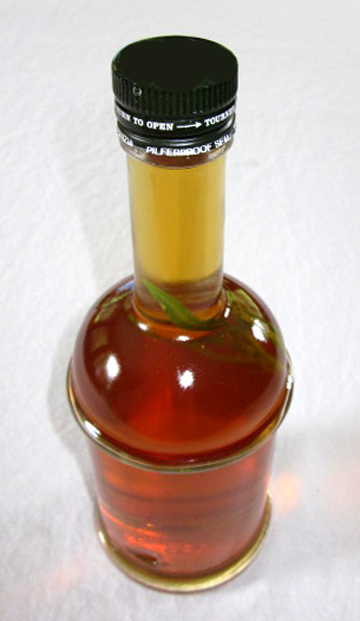 Twenty years ago tarragon was THE chic flavor for gourmet vinegar. And yet a couple of months ago when I was getting ready to make Green Goddess Dressing I could find neither fresh tarragon nor tarragon vinegar in stores! 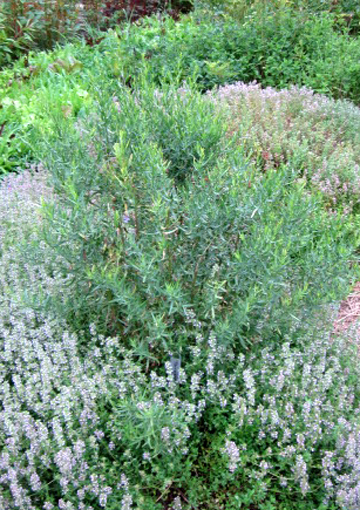 Tarragon is a lovely herb, with a special almost licorice-like flavor. I have no idea why or how it fell from grace. I firmly believe that it deserves to come back into fashion, however. And I’m doing my part to promote its renaissance. First, I have planted tarragon outside my kitchen in Massachusetts as well as in my sister-in-law’s garden in Virginia. Thinking ahead to the winter when my tarragon will be dormant, I have just made tarragon vinegar. My own tarragon plant is still dwarflike, but I was fortunately enough to find a huge bunch of lush tarragon at my CSA, Wilder Brook Farm. If I want to make Green Goddess dressing in January I can substitute my vinegar for some of the lemon juice in that recipe. I can also make an herbal vinaigrette with the vinegar. Or a sweet-and-sour vinaigrette by mixing it with some of my strawberry vinegar. Like Scarlett O’Hara, I’ll never go hungry again—at least not where tarragon is concerned. Did I mention that the recipe couldn’t be simpler? When the vinegar is warm pour it into the jar and close the jar loosely. Tighten the jar lid after the vinegar cools. 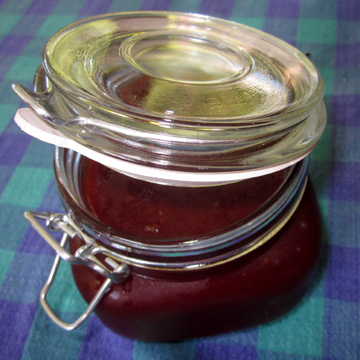 Place the jar in a cool, dry place for 3 days, gently shaking it twice a day. Do NOT try to shake the bottle just after you pour in the hot vinegar as it may leak or explode. Makes about 1 quart of vinegar.